THE FIRST TENTS have barely been pitched at Electric Picnic 2014 and already sights are set on next year’s event in Stradbally. Organisers have confirmed that Early Bird tickets for 2015 will go on sale this Monday 1 September at 12 noon. The loyalty scheme which has been in place since the 2013 festival will apply to these early ticket sales. Between 1 September and 30 September those who can prove they’ve been to three or more Electric Picnics can avail of €154.50 tickets. Those who have been once or twice can get a ticket for €174.50, while the standard Early Bird tickets will cost €194.50. Proof of previous attendance comes in the form of a discount code from Ticketmaster. Anyone who has purchased their tickets from the site will automatically receive an email with a code. All the information on availing of the discount code is available here. Meanwhile reports from the site in Co Laois indicate that this morning’s heavy rain has cleared, with our eyes and ears on the ground updating the status from “lashin” to “just drizzling”. Email “Electric Picnic tickets for NEXT year going on sale on Monday ”. 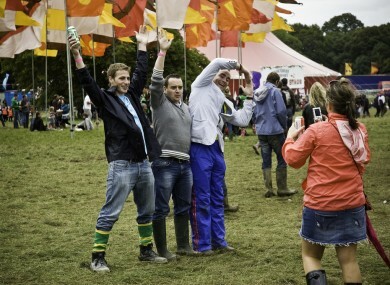 Feedback on “Electric Picnic tickets for NEXT year going on sale on Monday ”.